Former Gov. Rick Perry has endorsed fellow Texan Ted Cruz for president — more than four months after Perry dropped out of the 2016 race himself, and a week before the first-in-the-country caucus in Iowa. DAVENPORT, Iowa — Former Gov. Rick Perry on Monday endorsed Ted Cruz for president, giving the Republican U.S. senator from Texas his highest-profile show of home-state support yet. The move comes more than four months after Perry dropped out of the race himself — and a week before the first-in-the-country caucus in Iowa. Cruz is locked in a tight battle there with billionaire Donald Trump. "2016 is a critical election, and I'm here to stress to you how important it is for conservatives to rally together and support a consistent conservative candidate who will take on Washington, who can defeat the Democrat nominee," Perry said in a video released by the Cruz campaign. "That's why I support Ted Cruz for president." Perry has long been a fierce critic of Trump, once calling him a “cancer on conservatism.” While Cruz avoided criticizing Trump for months, he is now blasting him as a candidate whose rhetoric does not match his record. Since Perry ended his bid for the White House, he has spoken highly of Cruz, most recently praising his tax plan and defending him against backlash for his use of the term “New York values.” Perry was a little harsher on Cruz during his campaign, suggesting the country does not need to elect another inexperienced senator like President Obama was. 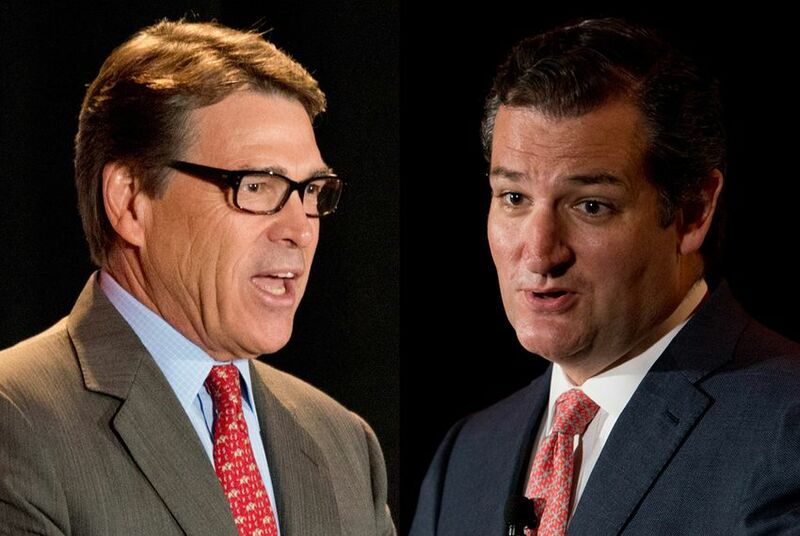 Cruz and Perry have met at least twice since the former governor dropped out the race. One of their visits took place at Perry's new home in Round Top and lasted at least half the day. "Sen. Cruz and I have spent some quality time together over the last 60 days," Perry said on MSNBC's Morning Joe on Monday morning. "I really didn't know Ted Cruz. He was solicitor general. I was governor. I had a caricature of him. Here's what the media said." Perry added that he learned through their recent time together that Cruz is "probably the best listener that I've ever been around in the political world." Perry is the most prominent Republican in Texas to endorse Cruz. The senator already has the support of seven GOP members of the congressional delegation, more than a third of the Republicans in the Texas Legislature and three statewide officials, including Lt. Gov. Dan Patrick. Perry is expected to play the role of full-fledged surrogate for Cruz. The campaign sees him as particularly helpful on veterans issues, which he made central to his own bid, and while he spent the final weeks of his run assailing Trump, his portfolio will not be confined to that. Perry’s endorsement coincides with Cruz’s final tour of Iowa before the Feb. 1 caucuses. The senator is scheduled to make three stops across the state Monday — in Maquoketa, Manchester and Independence. Perry is scheduled to attend 10 events for Cruz on Tuesday and Wednesday in Iowa, eight with the candidate and two without. Monday's announcement provided a striking contrast to the bitter 2012 U.S. Senate race, in which Perry was an outspoken supporter of Lt. Gov. David Dewhurst over Cruz and at times dismissed Cruz as inexperienced and misrepresenting his and Dewhurst's record to voters. At one point, Cruz said Perry had only endorsed Dewhurst out of a desire to replace him as lieutenant governor. "It is in his political interest to get rid of David Dewhurst and get him out of Austin and send him somewhere else," Cruz told reporters following a televised debate. Perry quickly released a statement accusing Cruz of lying. "Making false statements about my motives or David Dewhurst's conservative record is a disservice to Texas voters," Perry responded.